KCCA FC and Vipers SC face off in game day 25 of the Startimes Uganda Premier League at Startimes Stadium, Lugogo. We are playing against arguably one of the best sides in the country in Vipers and many have dubbed it as the title decider. Well! To me, it is a tie that has a lot to play for. We are well prepared for the game and we know what is at stake. We win it and the road to win the Championship is softened. All the lads are fit with exception of Julius Poloto who suffered a knock in training. Both clubs played out one all draw in a nail-biting game played at St Mary’s Stadium, Kitende. Fillbert Obenchan who cancelled out Dan Sserunkuuma’s first half strike is back from suspension after accumaulating three yellow cards. 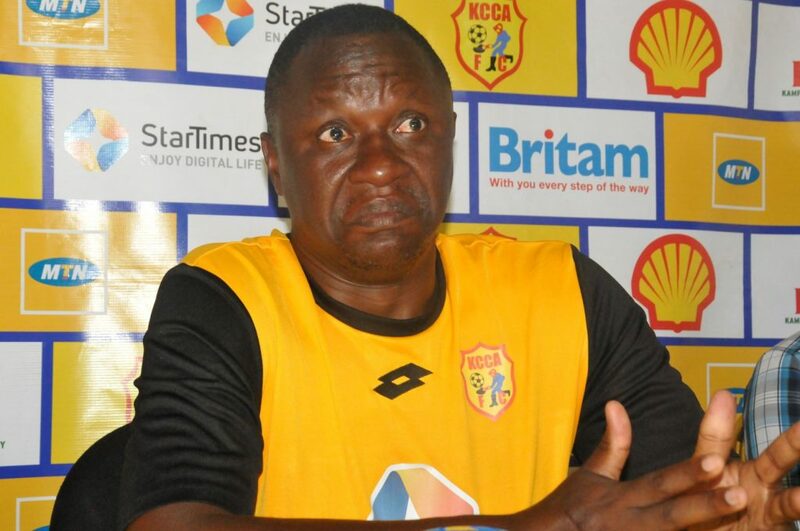 Mike Mutebi’s side tops the log on 52 points while Vipers SC lie second on 48 points just four points from the log leaders. 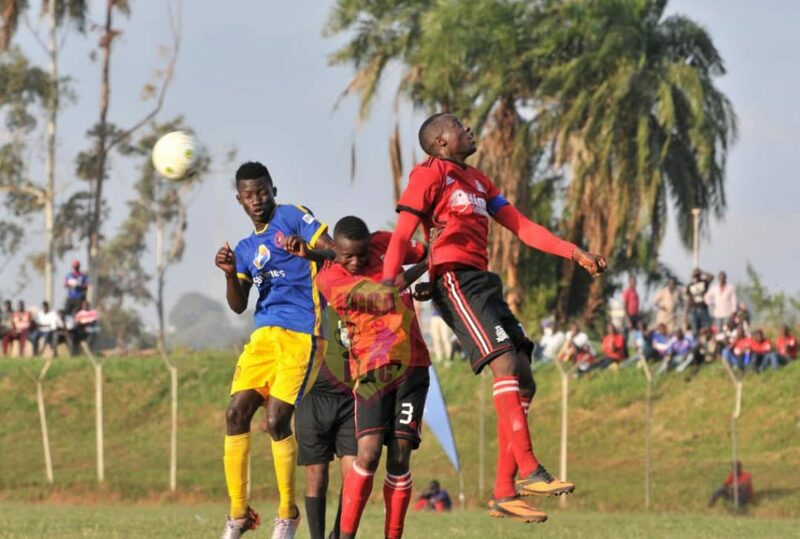 Fresh from the trip to Jinja and picking three vital points away against Kirinya Jinja SSS FC, KCCA can not afford to drop points against immediate rivals Vipers as the league hits the final bend. Vipers SC will hope their marksman Dan Serunkuuma comes alive like he has done in this fixture in the past. In the last 18 games between both clubs, 12-time league Champions KCCA FC have won 5 drawn 4 and lost 9. The have also scored 23 goals and conceded 27 hence collecting 19 points in 18 games. Fillbert Obenchan (Left) heads the ball away from Vipers SC players in a recent game. On the other hand, defending league Champions Vipers have won 9 drawn 4 and lost 5. The have also scored 27 goals and conceded 23 hence collecting 31 points in 18 games between both sides. A win for KCCA FC means the log lead is stretched to seven points and would clearly mean they are out of site. On the other hand, a win for Vipers SC would narrow KCCA FC’s log lead to one point between them and the Venoms. A draw means the status quo is maintained. 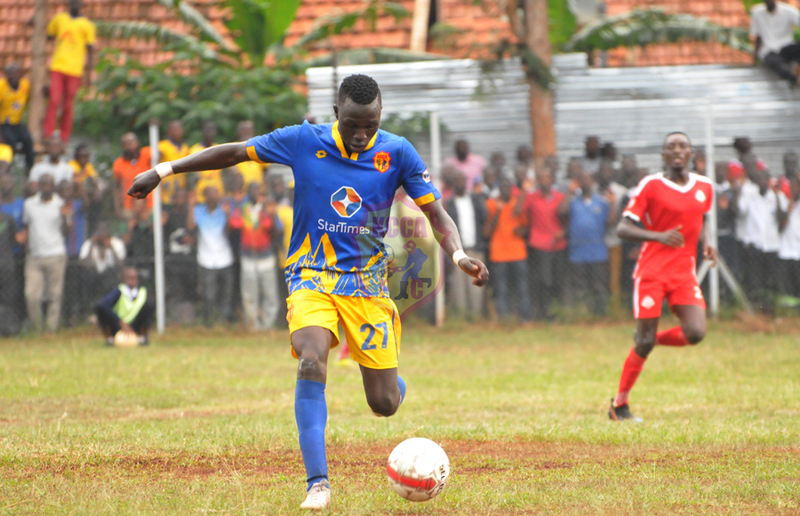 Junior team player and FUFA Juniors League top scorer Sadat Anaku could feature in the game as he has been training with the first team for the past fortnight. KCCA FC will welcome two national team players back into the squad. Allan Kyambadde and Sadam Juma who did not feature in the last game against Kirinya Jinja SSS FC. Kyambadde was an unused substitute while Sadam did not make the match day squad. 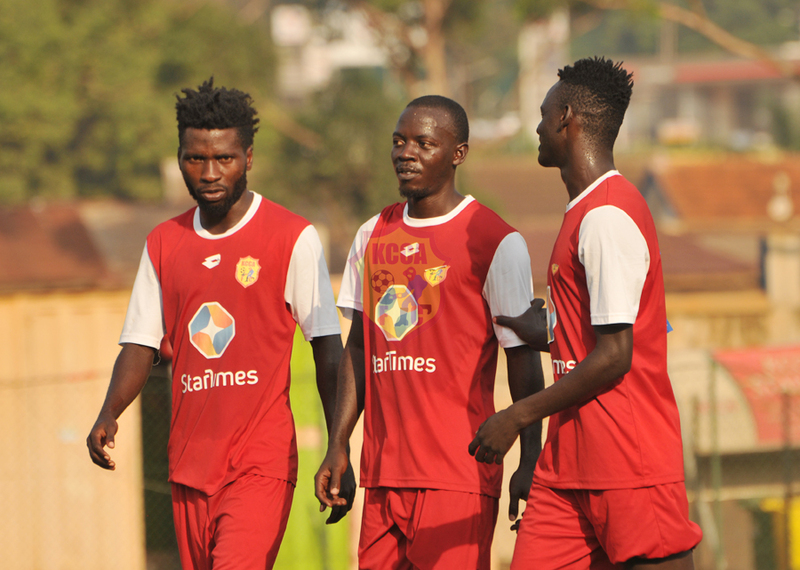 Former Vipers SC players Allan Kyambadde, Sadam Juma, Mike Mutyaba are part of the squad to play the Venoms and the trio could face their former bosses.